Your swap partner got such a lovely treat in this quilt! Beautiful quilt. Great job on the quilting. Beautiful quilt and great quilting! Leanne, this is a beautiful quilt - the quilting is excellent! I found this page through Amy's Creative Side. I'm glad to have met you and I love the aims of your blog. 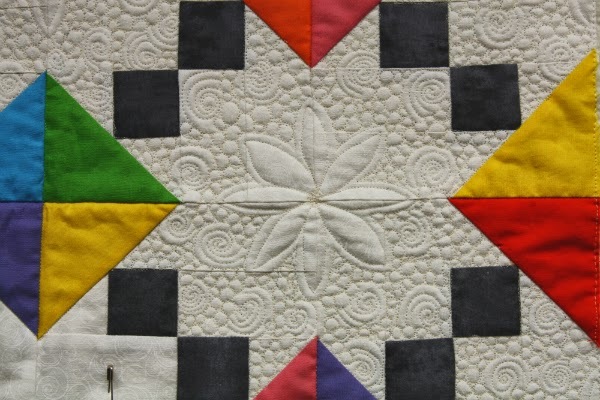 I love the colour combination and quilting design. I love the colours of this. Its a really impactful use of the pattern. Good luck in the festival. 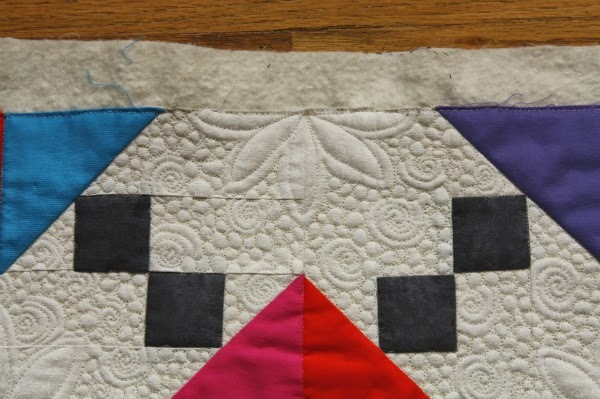 wow, your quilting is amazing! lucky partner. 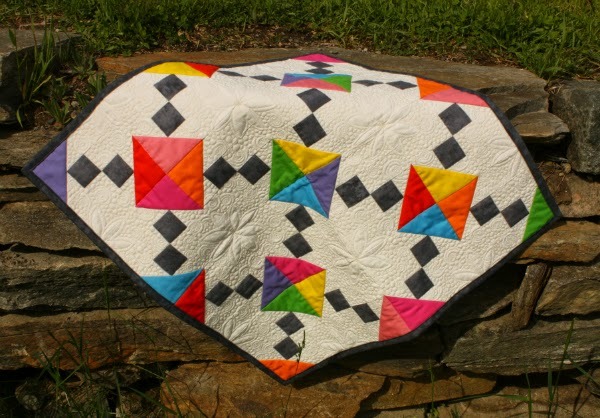 Oh, I love this quilt - that beautiful background quilting emphasizes the colors and makes the design pop. Wonderful!